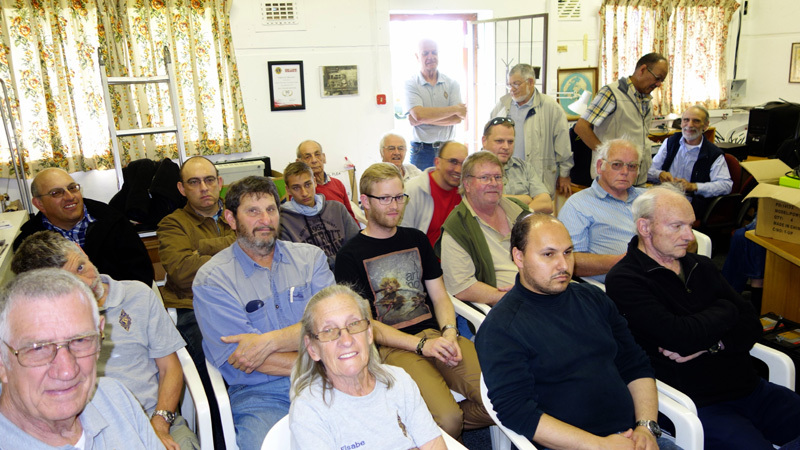 The Cape Town Amateur Radio Centre held it’s October 2016 Meeting on the 22nd, starting at 14h00. 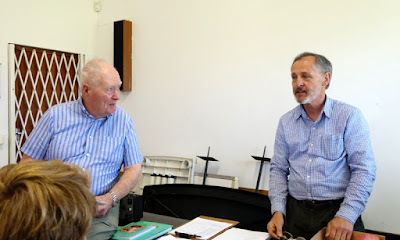 The meeting, which was very well attended, was opened by Paul / ZS1S, who welcomed us all. 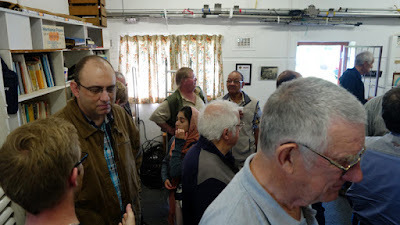 He took the trouble to welcome back a number of old friends who had not been at the club for some time, as well as a number of newcomers, some of whom have just written their RAE and yet others who are involved with technical subjects at UCT. We do hope the newcomers will be joining our club, which now has a paid-up membership (and excluding life members) of over seventy strong. We remembered Richard / ZS1RIC who is currently attending his wife in hospital, and we welcomed back Hugo / ZS1HSF, who has returned from a spell in the white house. Noel / ZS1FW then gave a report-back on the recent JOTA field station set up in Meadowridge on Saturday. See that report [here]. Noel also gave us feedback on the recent antenna work party held at the clubhouse on the 8th October - details [here]. We were shown the new CTARC name badges that the club hopes to have produced and have ready by the November meeting – details [here]. Details of the forthcoming November 2016 meeting (details here) and January 2017 meeting (details TBA) were mentioned. 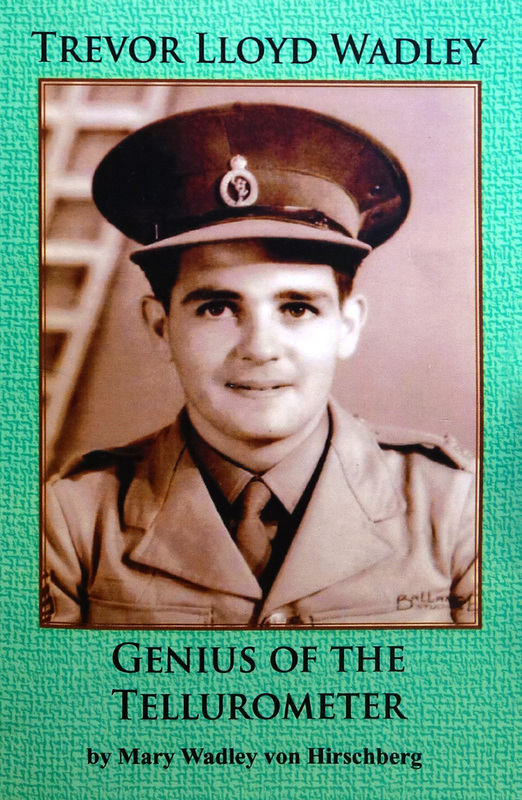 We were all reminded to get in the nominations for the Len Wells Ham Spirit Trophy – details [here] – which must reach Dennis / ZS1AU by 31 October. 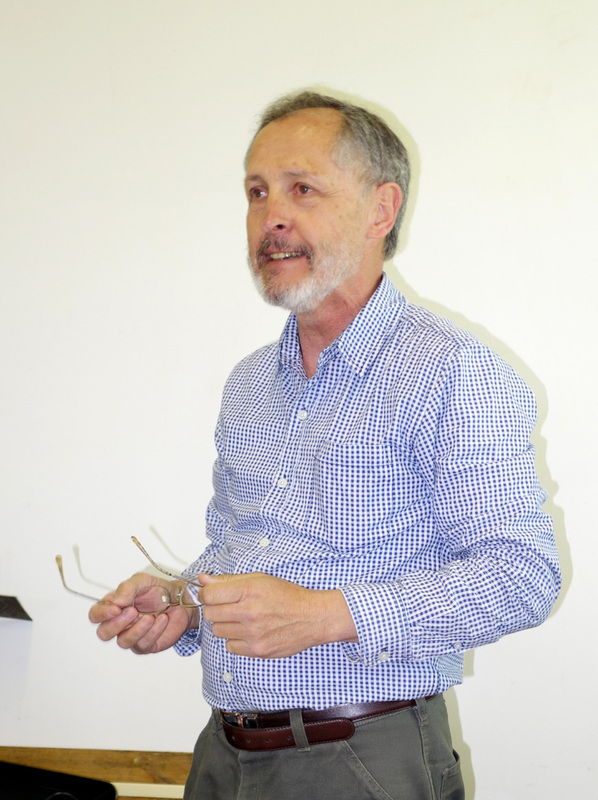 There was also a brief mention of a recent Memorandum of Understanding being drawn up between the SARL and ICASA. The very successful Bring and Buy / Swop Shop was also announced and is discussed [here]. 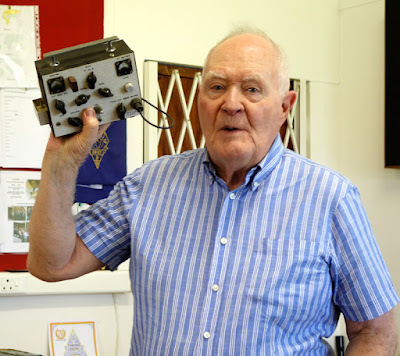 Then it was time for Paul to introduce John / ZS1PM, an electrical engineer (now retired) from UCT who has had a long and fascinating career, both in amateur radio and in the field of professional RF engineering. 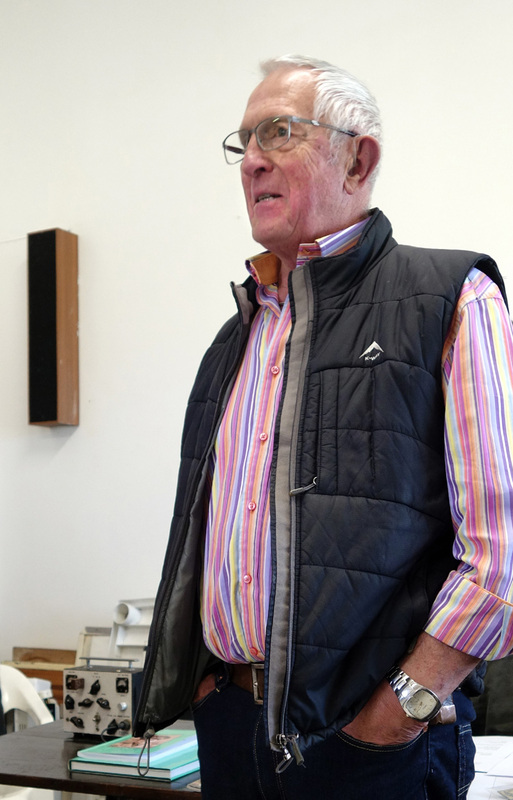 John described his introduction to radio when a neighbour, Herbie Taylor / ZS1JK came on air with a signal sufficiently strong to blank out the green “magic eye” tube on his parent’s radiogram! This lead to a visit to Herbie and an introduction to the world of radio. In 1949, the CTARC was called the Cape Town Branch of the SARL and used to meet in the Cape Town YMCA Hall. Through Herbie, John met Max Adler / ZS1ACD, who was a gifted musician and piano accordion player. John was so impressed by a performance given at the Hotel Cecil in Claremont that he took up lessons with Max and later joined his band of accordion players in Johannesburg, where he was to meet his future wife! 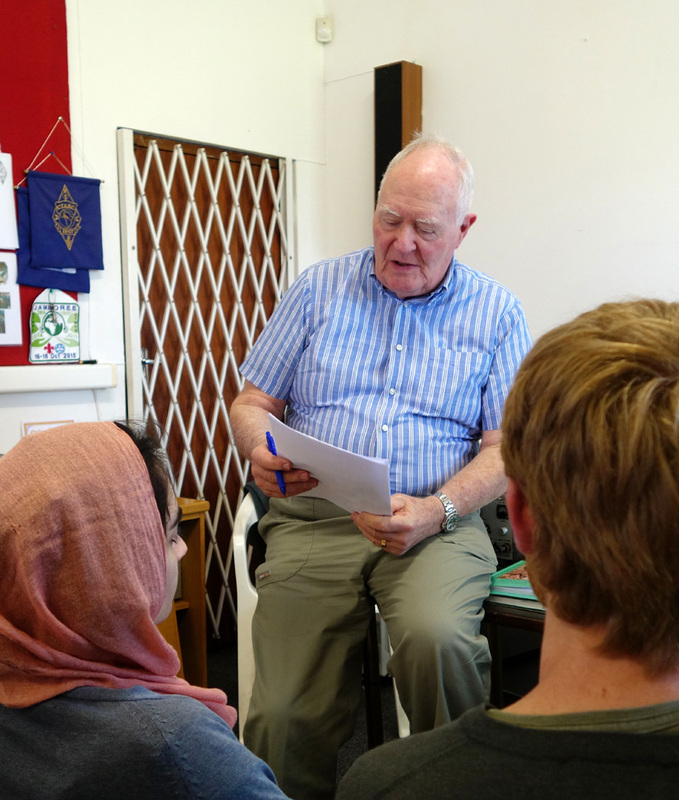 John described a visit as a schoolboy to the radio station in Milnerton, which was the radio communications receiver link to the UK. At the time it had five 100m tall masts with wire beam antennae. The transmitter station was a little further away at Klipheuwel. The link consisted then of just two duplex voice channels and an RTTY channel. The Milnerton receivers were 1930’s Marconi rigs with separate tuning controls for RF Stage, Oscillator and Mixer – none of this new-fangled ganged-tuning nonsense! 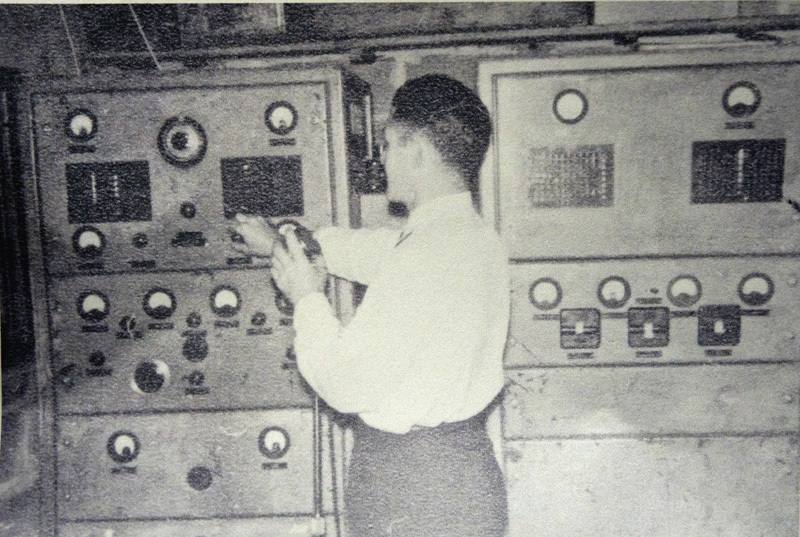 In those days, what with all the war surplus equipment still available, radio components were in plentiful supply. Certain companies foresaw the potential of the hobby market and Jack Twine started the Hamrad company. Later on he was joined by the Morris bothers and Hamrad moved to larger premises. In those days, ham transmitters were home-made. 807 and 813 beam tetrodes, and 809 and 811 triodes were used. Antennas were most wire - folded dipoles, long-wire and ground-plane verticals. There were few beam antennas in Cape Town then. When John moved to Constantia to a larger property, there was enough space for him to put up a 270 foot long wire antenna. Later on in his talk, John was to show us his homebrew 100 mW crystal-controlled transceiver with which he was able to work Joburg – via Tippy Marais (ZS1CL)’s beam antenna! 1957 was a peak in the solar sunspot cycle - (a maximum that has never been achieved since then) and correspondingly there was a great interest in amateur radio. John would work the Eastern Coast of the USA on the long path and have QSO’s with good signal strengths with just 50w of power into his LW antenna. In those days, even before Springbok Radio came on the scene, there was just the “A” programme (English) and the “B” programme (Afrikaans). For a little variety, L. M. Radio would magically rise out of the static on 11.7 MHz in the early mornings in the summer months. Receivers were Hallicrafters SX28’s (which had been made in quantity for the war effort), Hammarlund, Eddystone, the legendary National HRO and, for those with the necessary folding stuff, the Collins 75A series, which were accurate down to 1kHz and stable enough for SSB (although most ham transmissions were on AM at the time). John built a dual band double conversion receiver for 7 and 14 Mhz (21MHz was to only become available later). He also was building homebrew transmitters and made his first contact with the USA in 1954 using 50W. Later he was to acquire an enormous transmitter (christened “Big Bertha”!) that had been a beacon transmitter, which he converted to the ham bands. Sufficient was its output power that he could walk around the garden at 100 metres distance holding two fluorescent tubes that would light up! Prudently, Big Bertha’s usage was limited to occasional test transmissions. A cubical quad antenna for 28 Mhz was used by John to work New Zealand with regular success.14Mhz contacts with New Zealand were more difficult. When John graduated, he travelled to the UK and worked there, then, after a spell in Cape Town working for IMC he went to the National Institute for Telecommunications Research up in Johannesburg at Wits University. Working under Dr Hewitt, he met and worked with Dr Trevor Wadley. One of the first projects was an Ionosonde instrument, used to measure the height of the ionosphere at different frequencies thoughout a 24-hour cycle. The MUF (Maximum Unsable Frequency), (HPF) Highest Possible Frequency and OTF (Optimal Traffic Frequency) charts put out by the NITR and – extremely useful to radio amateurs – were published in Radio ZS for many years. John then spoke about the Tellurometer, Dr Wadley’s invention (and a first for South Africa in the world) that was to revolutionise the practice of Surveying. Up until then, surveying was carried out by measuring angles and using Trigonometry to work out the distances between beacons.The Tellurometer measures the transit time of a (GHz) radio wave between two points. Making allowances for the speed of the wave through the medium, one can calculate the distance accurately. In 1959/60, John worked on the first solid-state Tellurometer (you can appreciate how surveyors would have appreciated not having to lug “valve” equipment and associated large batteries up to mountain summits!). Throughout his talk, we were made aware of the gradual improvement of radio components, from bulky valves, through whiskery germanium transistors, through to silicon transistors, through to integrated circuits, with the consequent effects on the possibilities of miniaturisation. So too were there developments in accuracy and calibration. Initially, equipment was calibrated against the WWV time signal. Later on a Hewlett-Packard frequency counter at the NITR provided accuracies in the order of 1 Hz at 20 MHz. While much of the ancilliary circuitry could become solid state, the source of GHz frequencies had to remain hollow-state - the Klystron (and its appropriately bulky power supplies) - for some time. The Tellurometer is still very much in use to this day, though the technology has become far more portable. Many specialised variations have been developed for specific surveying applications. John also touched briefly on the technology behind the legendary Wadley Loop, which was to revolutionise receiver tuning, stability and design methods, as illustrated in the Racal series of receivers. 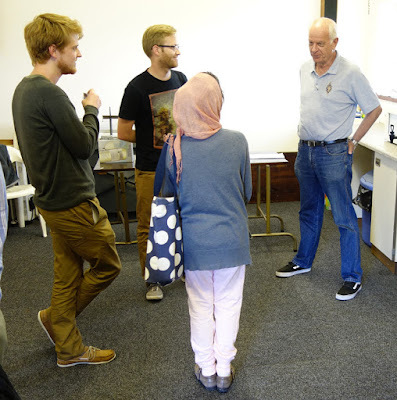 After his talk, John kindly answered some questions from the floor, and then it was coffee, biscuits and the chance to peruse the items brought for sale or swop. All in all a great meeting. Thank you so much to John for his very informative talk, and to all others who attended and participated. We look forward to seeing you all at the November Meeting! A well-attended meeting - and they kept on arriving! beacon transmitter, and was later converted to the ham bands.